*Posted rate corresponds to our most affordable room. Rates may differ from one type of room to another. Packages not included. *Some distinction accessible room have 2 Queen beds. In the Hotel & Suites Le Dauphin Quebec’s Accessible Room you’ll enjoy an environment adapted to your needs. 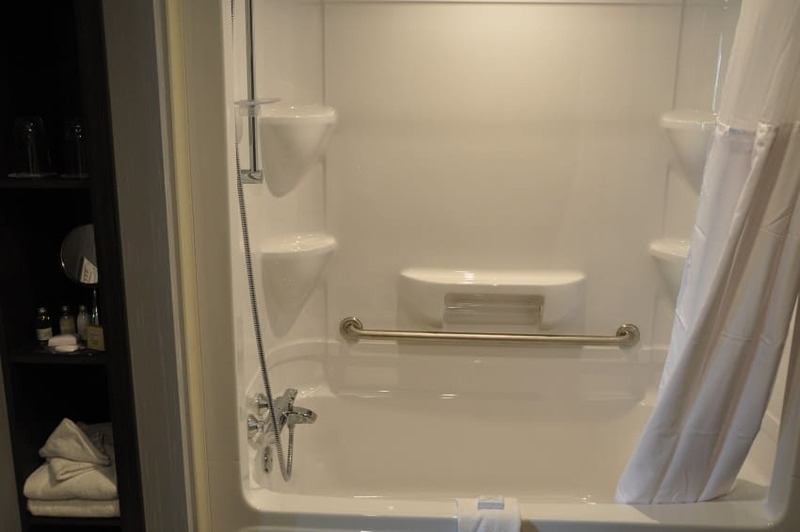 Support bars in the bathroom, adapted shower chair, clear passage ways, lowered bed, round-the-clock phone support: we’ve thought of everything to ensure your comfort and complete satisfaction. You’re sure to enjoy your stay! 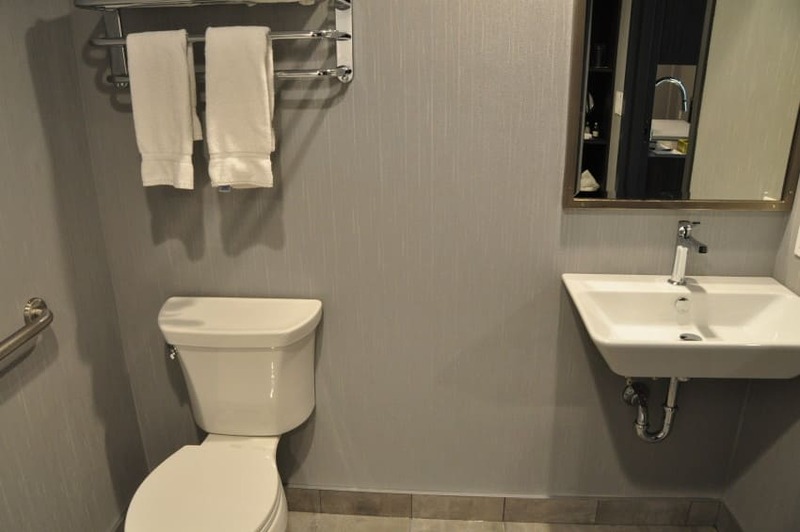 You‘ll also benefit from the many practical amenities offered by our devoted team at the Hotel & Suites Le Dauphin Quebec. Check out what the Accessible Room has to offer.